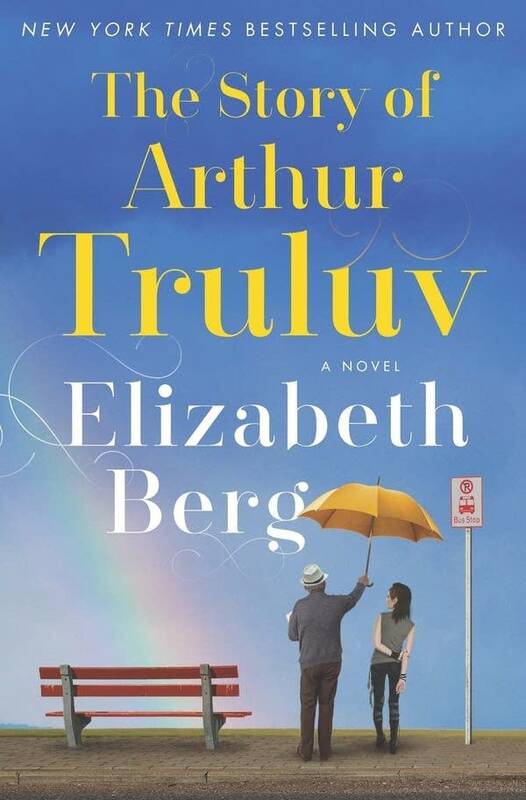 I really was not sure what to expect with The Story Of Arthur Truluv by Elizabeth Berg. I haven’t actually read anything by Berg before so it isn’t as though I knew what to expect going in. However, the fact that this was a relatively short book about an elderly person appealed to me. Then those super early glowing reviews came out and I just knew that I needed to prioritize this book. The Story Of Arthur Truluv by Elizabeth Berg is about three main characters – Arthur Moses, Maddy, and Lucille. Arthur is an old man whose wife died. He goes to the cemetery everyday to have lunch with Nola, his wife. One day he sees another person in the cemetery, a high school girl named Maddy. The two strike up a friendship. Meanwhile an old neighbor, Lucille, is about to get a second chance at love, but tragedy strikes. Together, Arthur, Maddy, and Lucille form the bonds of a ragtag family. Arthur is kind and gentle. He is patient. Like he is not that stereotypical grumpy old man. Rather, he delights in other people and in children. He is so considerate. I found that I immediately enjoyed his character. Plus he has this cool thing where the people in the graves he walks by speak to him, he can see a snippet of their lives. Also he owns a cat whom he really cares about. I think that I want to have a heart that is more like Arthur’s. Maddy has had a rough go of life. Her mother died in a car accident when she was two weeks old. This, FYI, was really hard to read about as the mother of an infant. I don’t like to put myself in the shoes of Maddy’s mother. Anyways, so Maddy was raised by her father who is just consumed deeply by his grief. Longing for a connection with another person, she makes an ill advised decision about getting into a relationship with this guy who is just terrible. Anyways, Maddy and Arthur become friends due to spending all this time together in the cemetery. A lot actually happens with Maddy’s development that I won’t get into. I warmed up to her though and was satisfied with how her story resolves. Lucille is probably the most difficult character to warm up to in The Story Of Arthur Truluv. She gets her redemption though. Lucille is a former school teacher and this amazing baker. She gets in touch with a man who she dated as a teenager and had planned to marry, only he knocks another woman up and does the right thing by the other woman. Years and years and years pass. They reconnect and rekindle old love. Tragedy happens, of course it does. Lucille falls deep into the depths of despair. But you know, hope and light thankfully win out. I loved seeing how things start to turn around and get better for Lucille. She’s a good egg, in the long run. Overall, this is such a quick and sweet read. I loved how it really is this quiet story about three unassuming people that you can’t really help but grow to care and be concerned about. The only thing I didn’t care for was that the ebook I read didn’t seem to have chapters and I am a sucker for chapters — I need a natural stopping point, you know. Otherwise, The Story Of Arthur Truluv was out of the realm of what I normally read and entirely refreshing. Thanks for the link to my review. I LOVED this book.